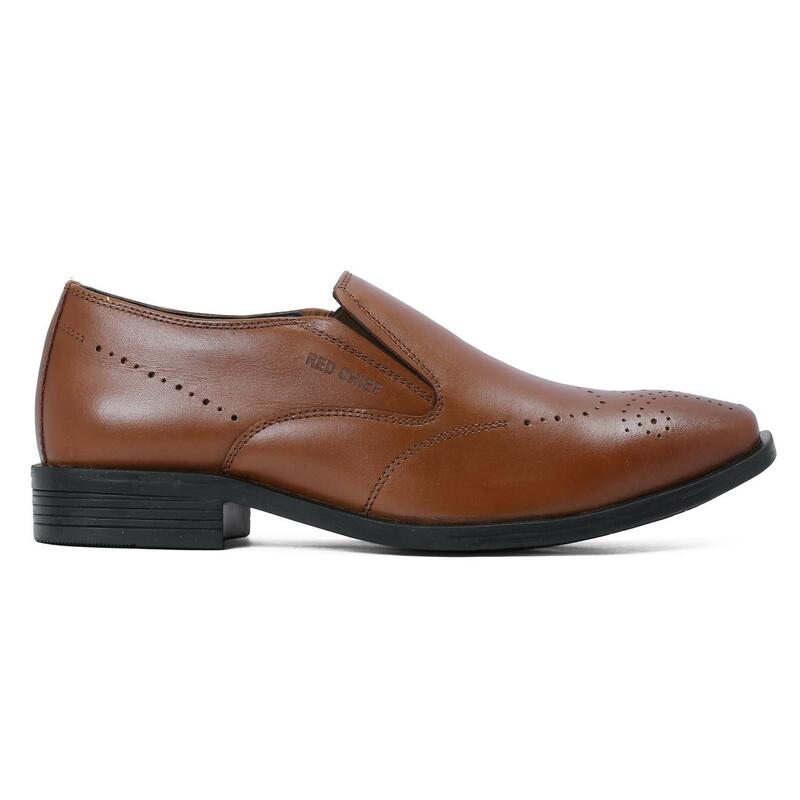 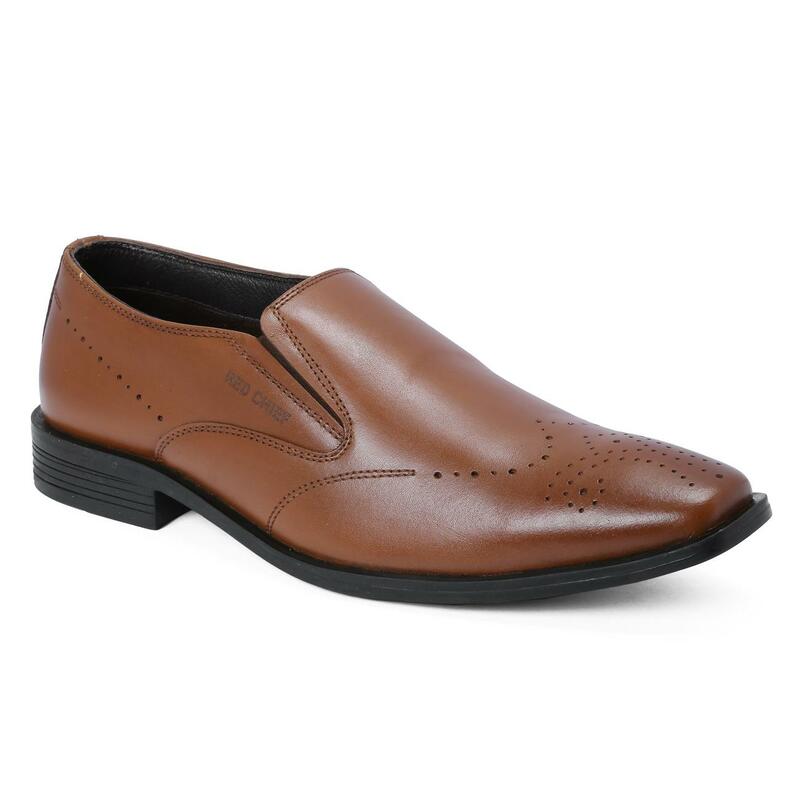 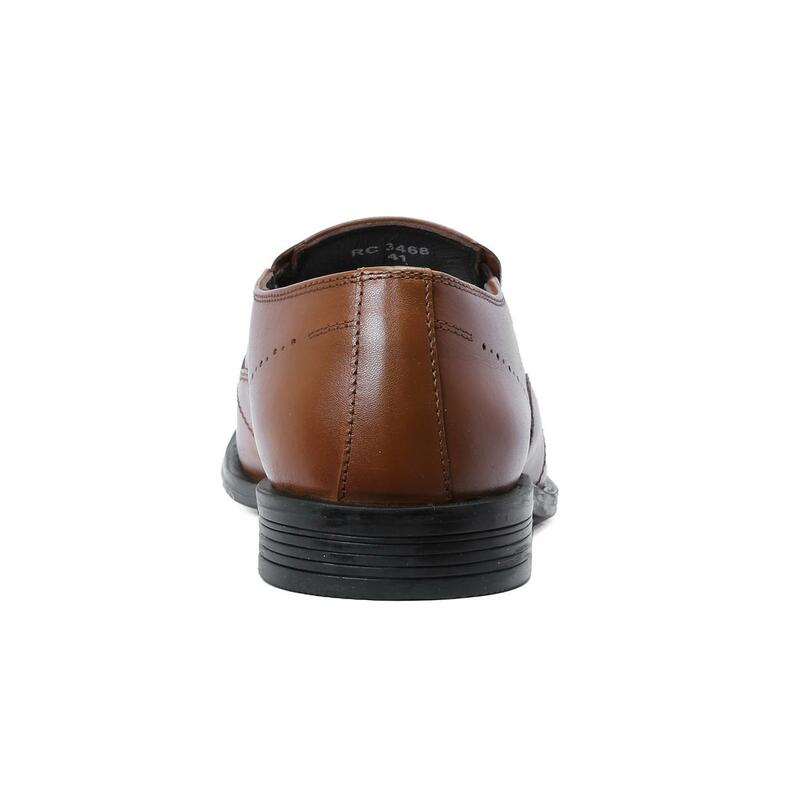 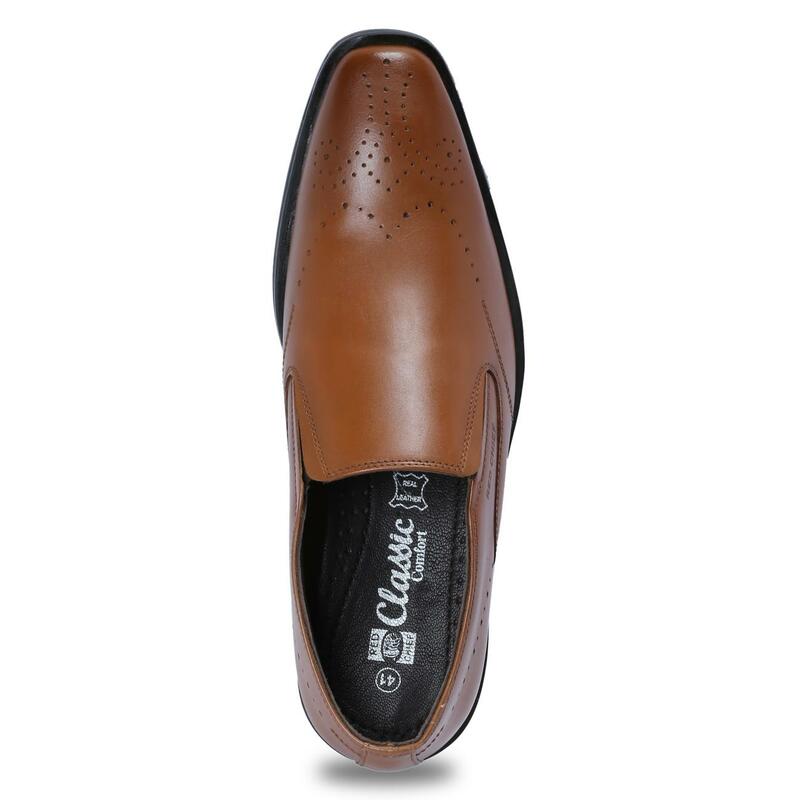 Enhance your on-duty look effortlessly by wearing this pair of tan formal shoes from Red Chief that is designed with an elasticated band on the sides for easy fitting. 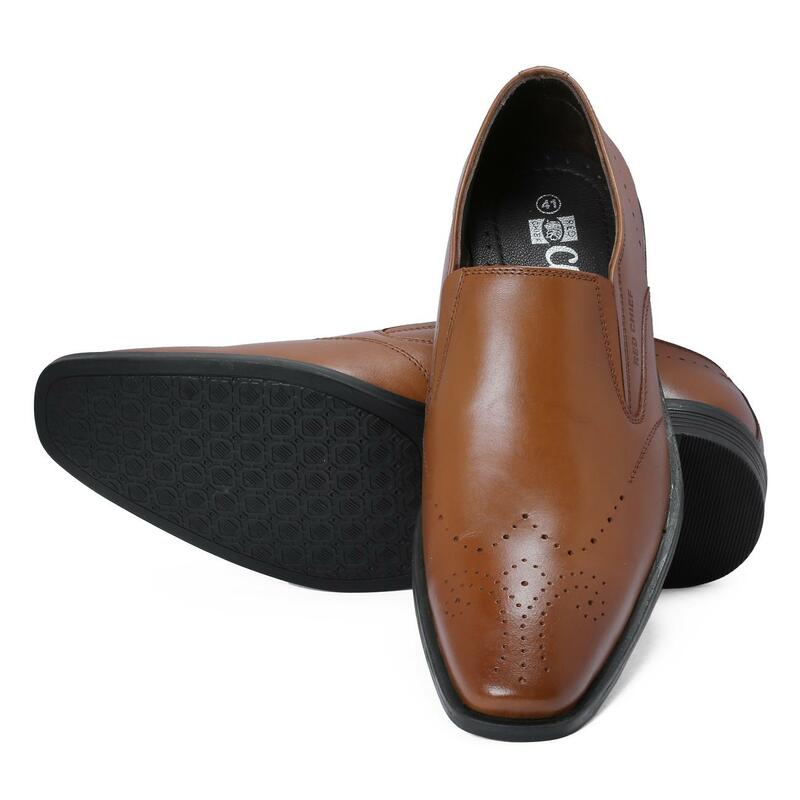 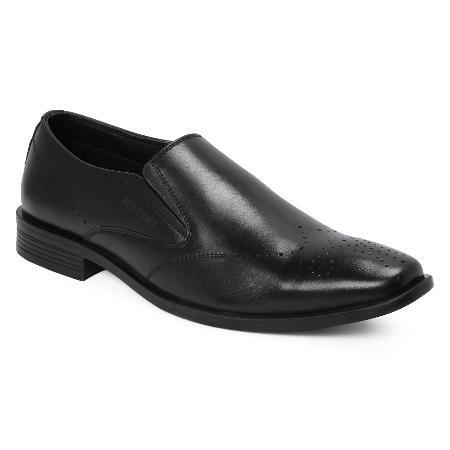 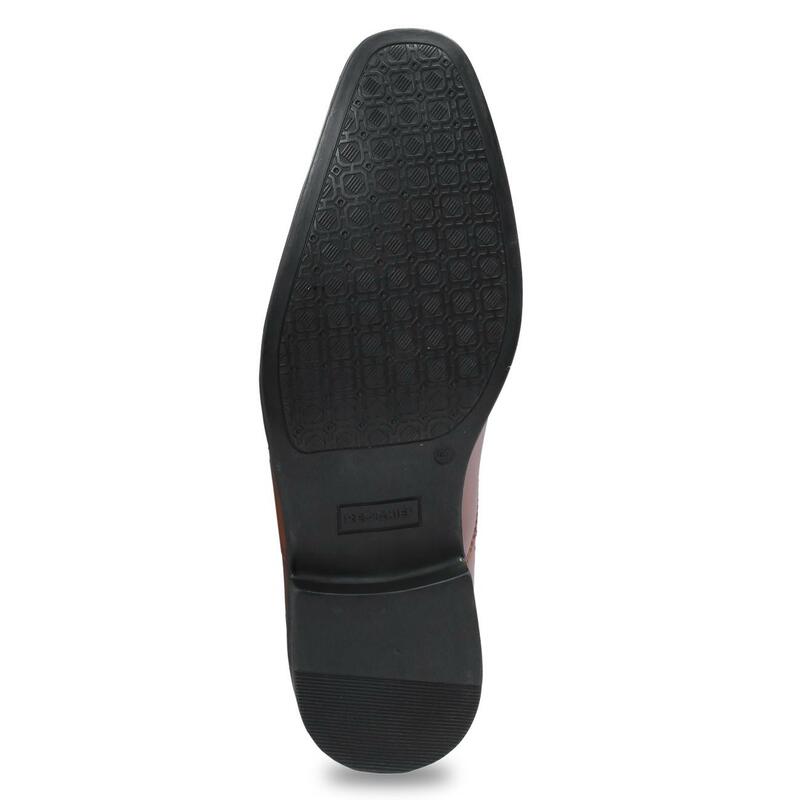 These slip-ons, made from leather and mash lining along with grooved TPR (thermoplastic rubber) sole are highly durable and promise firm grip on the ground as well. 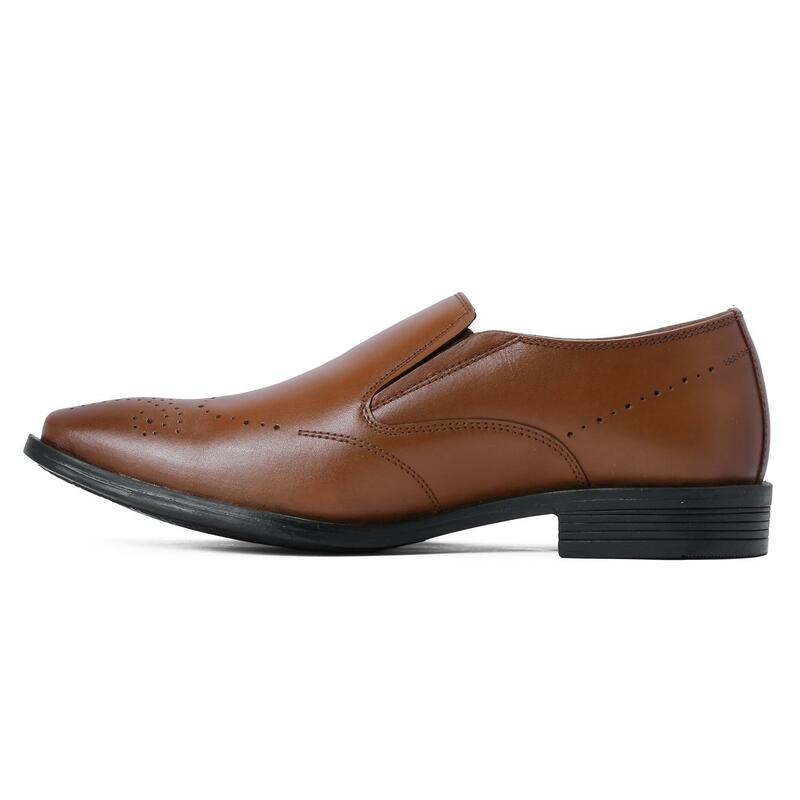 Team this low-ankle pair with shirt and trousers to complete your look.